Patients and clients consult their aesthetic professional with many concerns. The individual’s skin type and individual response to treatment protocols and products must be assessed accurately and quickly. Each skin type has unique characteristics. Aesthetic treatments and topicals must be carefully selected for combination oily, dry, and normal skin. The skin in each of these areas will respond differently, exhibit different potential complications and improvements. 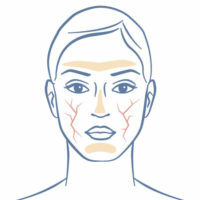 Dry skin, if untreated, is uncomfortable and even painful. Inflammation occurs and may lead to eczema. Exposure to dry, cold climates worsen dry skin. Disorders of ceramide synthesis associated with aging and some other skin conditions result in dry skin and dry skin itself causes further disturbances in the lipids essential for skin barrier function. There are many unique skin characteristics associated with ethnicity. Due to modern transportation and ethnic blending, an individual’s ethnic background may not be obvious. If these remain unrecognized, procedural complications may result. Ethnicity affects rate of aging, skin type, skin conditions, disease prevalence, and other important factors. The skin’s normal inflammatory processes have increased excessively when skin becomes irritated or inflamed. Inflamed skin is uncomfortable and even painful. Upregulated inflammation accelerates aging and the visible signs of aging. It also increases post-procedural complications. Very few individuals actually believe they have normal skin. 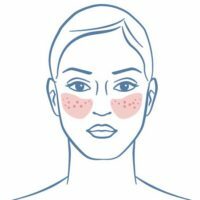 This speaks to the many unique characteristics of each person’s skin as well as their reactions to treatments, topicals, the environment, aging, and other factors. Oily skin results from increased sebum production associated with hormonal effects, life stage, and some ethnic considerations. If untreated it can easily result in clogged pores and acne breakouts. 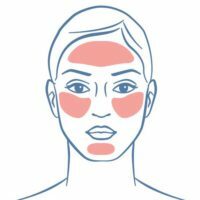 Many products advertised as helpful for oily skin actually worsen this condition by causing rebound increases in sebum production. Many clients are sensitive to various products or treatments. These individuals must be carefully prepared for treatments to avoid unwanted complications and assure good results. A thorough understanding of the inflammatory process is important in helping the client with sensitive skin.